When used regularly throughout the year (every 4 - 6 weeks) SeaAction will help to stimulate active soil microbes and maintain excellent turf condition. SeaAction can also be used as a tonic to reinvigorate turf after periods of stress. Directly beneficial to soil structure and stimulates fungi and bacteria that are vital to soil health. Consequently, seaweed is categorised as a biostimulant. 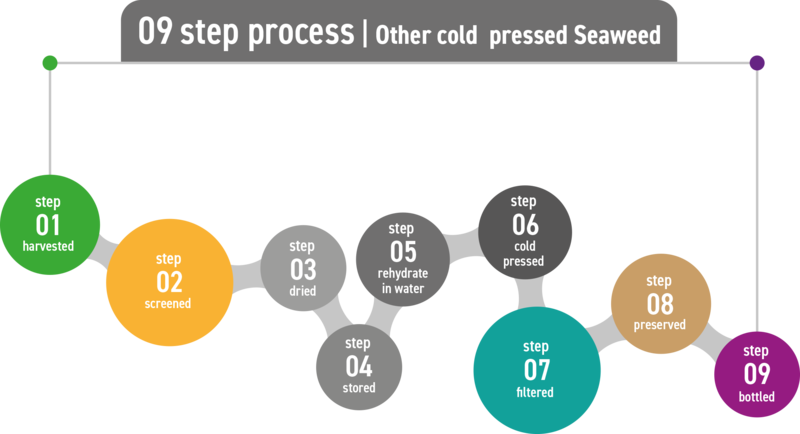 The method of processing and extraction is a crucial factor for maximising the plant beneficial bioactive compounds of seaweed. Each of the above methods will produce an extract with varying characteristics and concentrations of beneficial compounds and elements. The method which produces the highest concentration of plant beneficial bioactive compounds, is cold pressing. 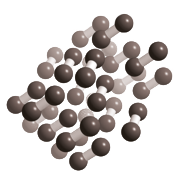 ...whilst formulations that are extracted with heat or harsh chemcials lose some of these beneficial properties. SeaAction seaweed is made from sustainably-sourced Ascophyllum nodosum, which is immediately wet processed at source, via a proprietary fresh cold press extraction method and without the use of heat or harsh chemicals. This process is specifically engineered to extract and maintain the bioactive components form insude the cells of the algae. SeaAction Seaweed is light brown to green in colour and has a pleasant smelling odour, with a natural pH range of 4 - 6. These characteristics reflect the quality of the extract and the proprietary cold pressed extraction process. Dark liquids which smell more like chemicals, have an unnaturally high pH, high concentration of potassium, high soluble solids and a black hue all of which indicate the use of alkaline extraction. This results in a product with an unnaturally high pH. consequently, these products will be lacking in some beneficial substances, such as vitamin B12 (a source of cobalt) which is sensitive to alkaline conditions. The low percentage of macronutrients in SeaAction Seaweed is deliberate. SeaAction Seaweed is formulated in its raw form, without additional nutritional supplementation. SeaAction stands on its own merits as a superior extract, allowing managers flexibility to control nutritional inputs and be confident in precisely what compounds are eliciting a visual effect. Seaweed extracts contain high concentrations of long sugar chains referred to as polysaccharides. Ascophyllum nodosum containts a range of soluble polysaccharides only found in brown seaweed extratcs. These substances provide energy, chelate nutrients and plant a key role in plant defence. Our exclusive fresh cold-press manufacturing process extracts the maximum quantity of bioactive compounds such as auxin and vitamin B12, without any degradation that normally results form heat or chemical extraction. Naturally low pH promotes easy tank mixing. Contains high levels of plant essential compounds such as iodine. Zero addded NPK, facilitating managers with maximum control of nutritional inputs. Produced without creating addtional waste by-products. SeaAction Seaweed can be applied to turf grass and plants every 2 - 4 weeks throughout the year and particuarly during the spring and summer. 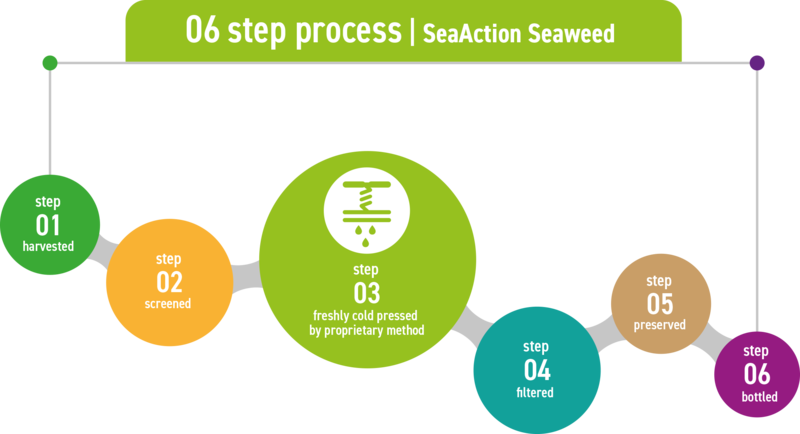 Apply SeaAction proactively before a period of high disease pressure to prime plant defence, whilst avoiding application when a pathogen is established to circumvent issues with stimulating disease. Together these products perform well, and we are very happy with the results we get; the greens have a great sward health and vigour which lasts longer. In addition to the physical benefits to the turf, there are also a number of other advantages including; less hours spent applying the products as they can be applied all together, as reduction in nutrients applied annually and less room is taken up storing products, all this put together provides considerable cost-savings, and less wear on machinery. Mike has been applying a combination of Green Solutions liquid fertilisers, HumiMax biostimulant and SeaAction Liquid Seaweed to his greens and tees. Maxwell Bullet Range *exception only being Liquid Iron. For further information on our SeaAction Liquid Seaweed, please contact a member of our technical sales team on 01902 440250 or consult the literature here.